6 weeks of coaching support to build healthy and sustainable habits. A gym is not a community of like minded individuals that are looking to change their body. A gym is a facility, with spin bikes, weight, cardio equipment, selfies and no coaching. So we are not in the gym industry. We are in the transformation industry. “Our competitors are not the gyms around us, but fat loss pills, quick fix fad diets and fitness challenges. Most clients come to us because they want want to make a change, from where they sit now to where they want to be in the future. It’s my belief as a coach, that long term sustained change is made through Fitness, Nourishment, Mindset and Accountability. I wish I could sell you a pill to give instant results, but I havnt’t found it yet. We have however created a great community of like minded people that are led by professional coaches in helping them facility the changes they couldn’t do by themselves. There are tons of 6 week challenges, what’s different at MVMT42? The fitness industry pulls every trick to lure new members in, as they bounce around gyms and diets. This isn’t the clients fault, it’s the fitness professionals fault for not creating a sustainable and positive changes in habits and lifestyle that help the client out for the long term, if it worked the client wouldn’t bounce around! In all the noise, fitness professionals stoped being professional. What your body composition is: Body fat, imbalances, muscle mass etc. Test how strong you are. Test how fit you are. If you have spent 2 years making the wrong choices in diet and exercise, 6 weeks isn’t going to undo that. But it is enough time to see some real change and cement new habits. Then over 6 weeks will will coach you through your fitness in group coaching, set up personalised nourishment plans, give you our easy to use cookbook and track your results in the gym. You do all this within our community. You can train every day if you like, there’s no limits with our timetable running throughout the day. After 6 weeks, we sit you down and take a look at the changes you have made, and how it correlates to your longer term plan. There will be positive changes to celebrate, so it’s making sure we reflect on them and build for future success with a membership option. Our goal as your coach is to start you on a sustainable and healthy path that you enjoy. The coaches are here waiting to help, we just need a level of commitment from you to turn up 3-4x a week for 6 weeks. In return we ask a one off fee of £100. That’s around £7 a session plus your scans and nutrition plan. We have helped hundreds of clients, looking back at the best success stories we noticed those that start with intent and commitment. That’s exactly why we make starting your journey with as as simple as possible with a low cost. After your purchase a coach will reach out to organise your first scan and consult. In this session we won’t be on the gym floor. Instead we want to get to know you, your goals and previous fitness background. 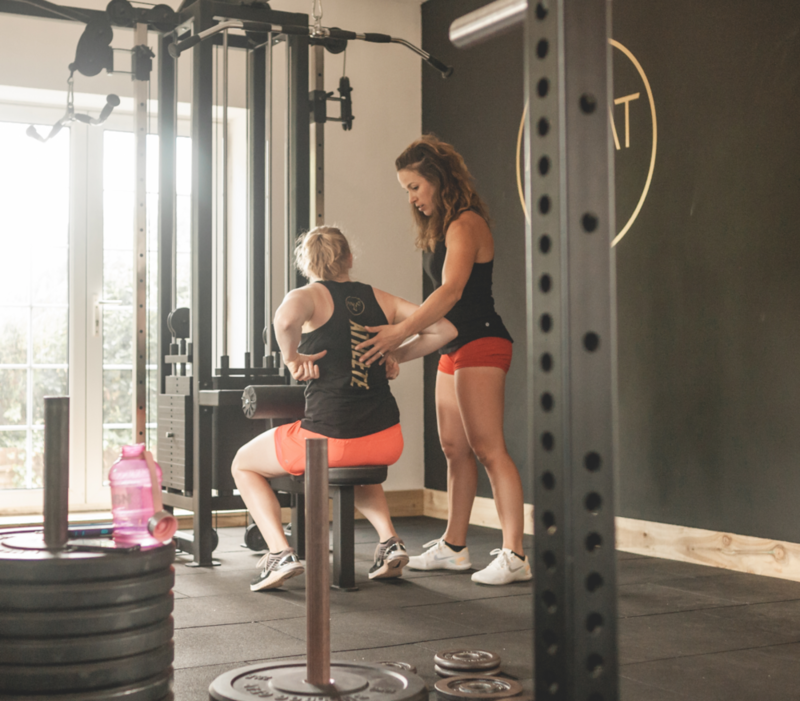 Our coaches will help you enrol into classes, book into your introduction sessions, welcome you into the community and give you a MVMT42 membership card that gives you discounts and perks in local businesses, coffee shops and businesses.